&url=http://www.rootsonwhytedental.com/blog/flossing/how-often-should-you-floss/&source=Roots On Whyte Dental/&related=entha&via=Roots On Whyte Dental" title="Twitter" class="icon-twitter"> How Often Should You Floss? What Happens To Your Gums When You Don’t Floss? 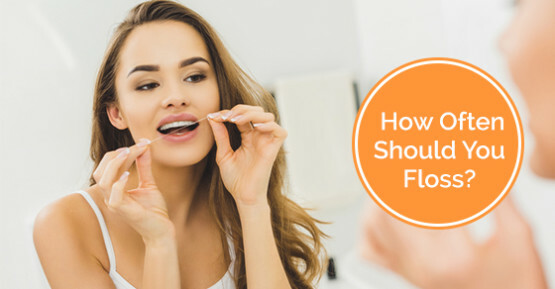 Let’s face it, most of us don’t look forward to flossing our teeth. However, it’s a very important part of your daily oral hygiene routine. By regularly flossing, you can avoid needing painful or time-consuming dental services.